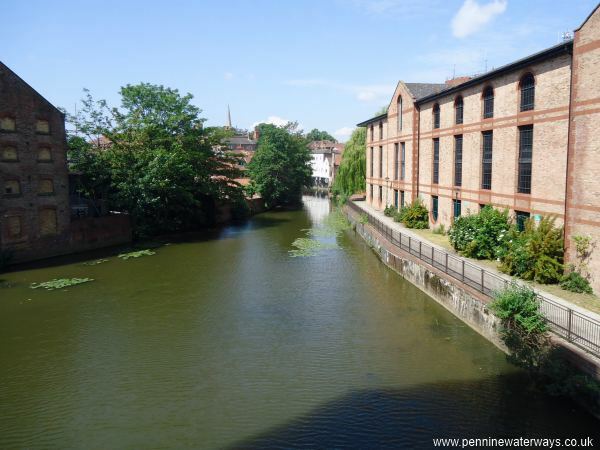 The River Foss in York is navigable for just over a mile to Monk Bridge. Access is gained by way of Castle Mill Lock, which is operated by volunteers and has to be booked (see below). 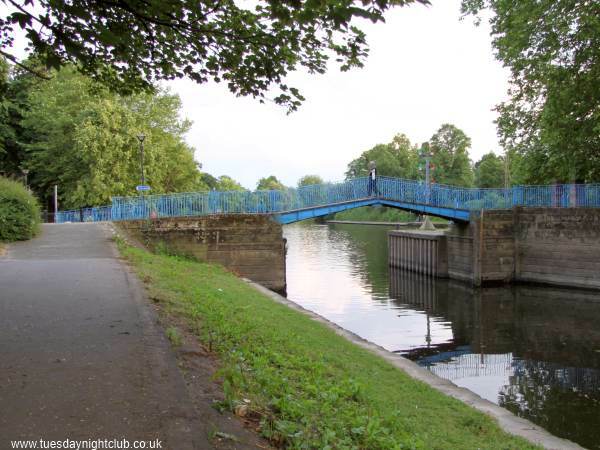 The 'Blue Bridge', built in 1895, carrying York's riverside walkway across the mouth of the Foss. Photo: Neil Arlidge. 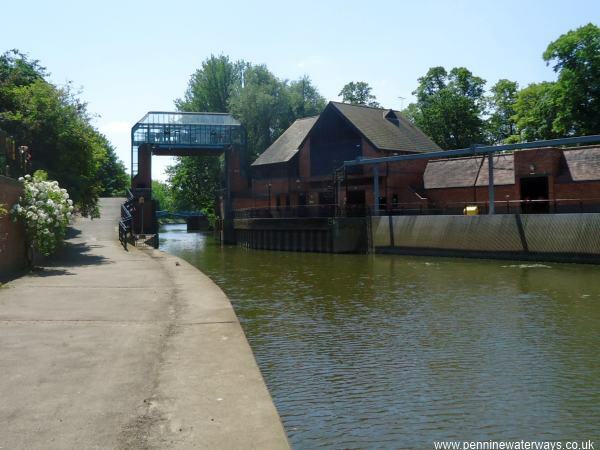 The entrance to the Foss is protected by a flood barrier to prevent the Ouse in flood from surging back up the course of the Foss. Photo: Neil Arlidge. 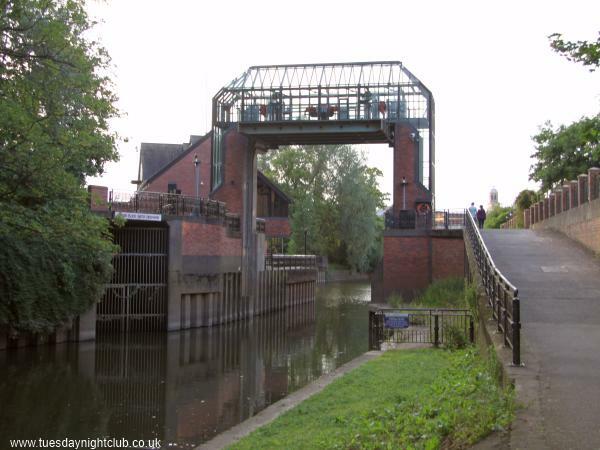 A stretch of water called Browney Dyke runs from the confluence of the Foss and the Ouse to Castle Mills Lock. Looking from Browney Dyke to Castle Mills Lock, River Foss. 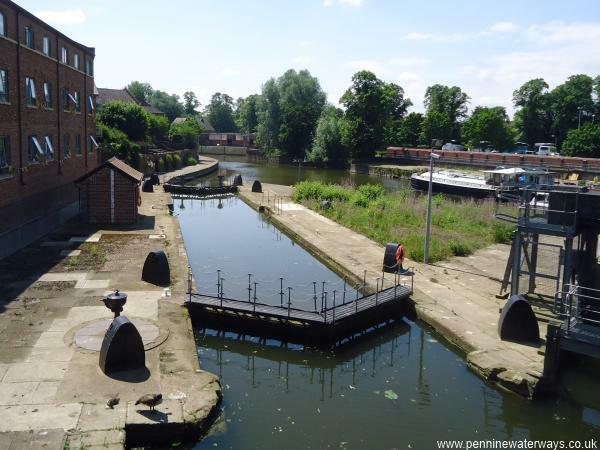 Castle Mills Lock with Castle Mills Bridge in the background, carrying Tower Street, part of York's inner ring road. Castle Mills Lock, River Foss. 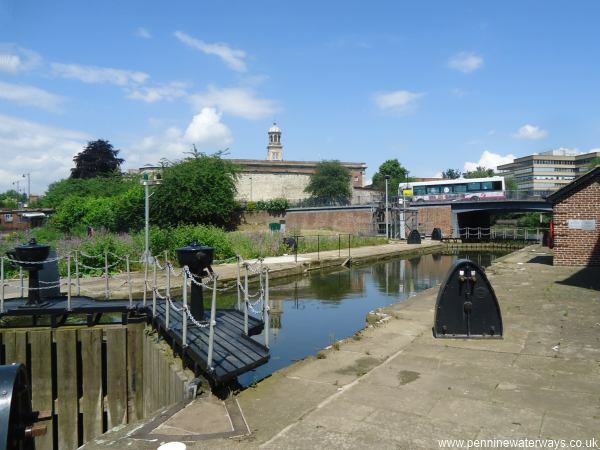 The lock is operated on request by volunteers from the Inland Waterways Association. Passage needs to be booked at least 2 days in advance by phoning 07588-236597. There is no overnight mooring available so boaters will need to book a return passage for later the same day. For more information, see IWA site. 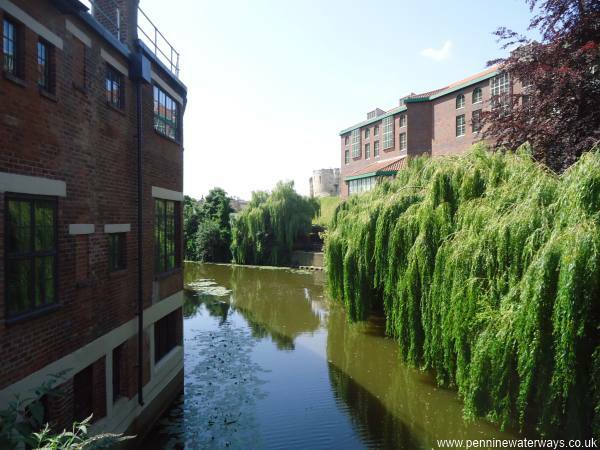 River Foss, looking north from Castle Mills Bridge, with the back of the York Castle Museum on the left. Looking back towards Castle Mills Bridge from Piccadilly. 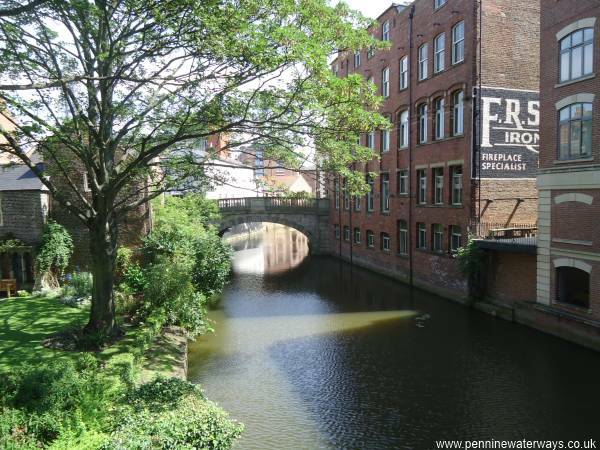 Looking upstream towards Foss Bridge from Piccadilly. Foss Bridge was built in 1811 to replace an earlier wooden bridge. Looking back to Piccadilly from Foss Bridge. Looking upstream from Foss Bridge. 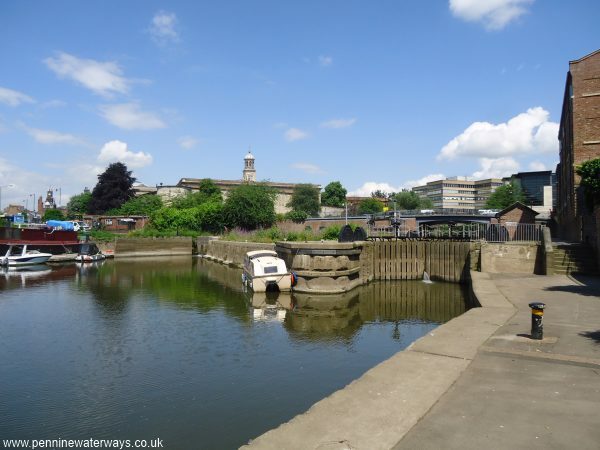 Rowntree Wharf, with the Foss continuing to the left and the short Wormald's Cut branching off to the right. The building between the two arms was constructed in 1860 and was originally a 5 storey flour mill with a 9 storey water tower. In 1935 it became chocolate maker Rowntree's warehouse and cocoa beans were brought here by boat. 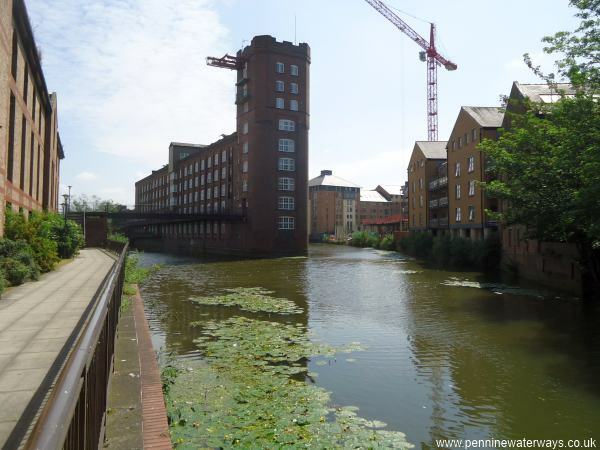 Looking back towards Foss Bridge from Rowntree Wharf. The River Foss, looking upstream at Rowntree Wharf. 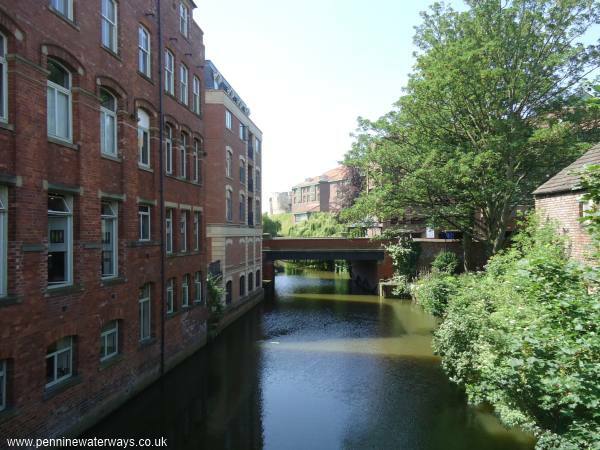 The River Foss is navigable for a further half mile, much of it alongside a busy road. 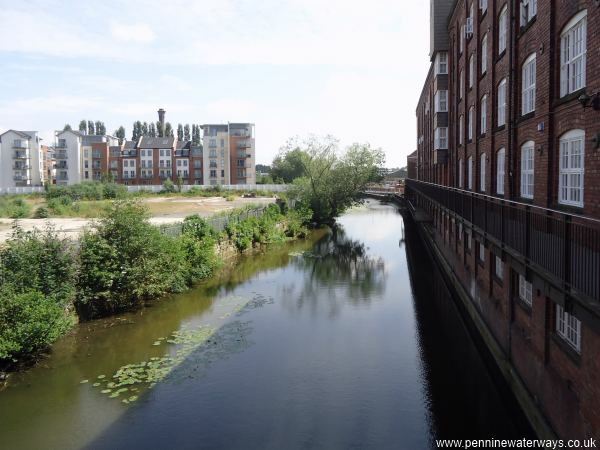 The river is shallower once past Rowntree Wharf. Anyone attempting it should keep to the outside of the bends and be prepared to reverse back to Wormald's Cut. 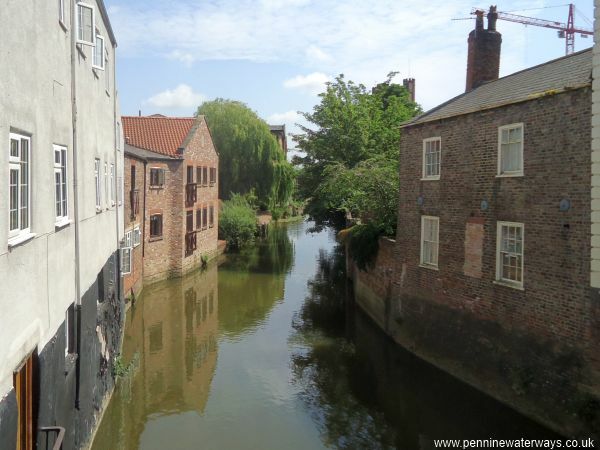 To return to the River Ouse, click here. 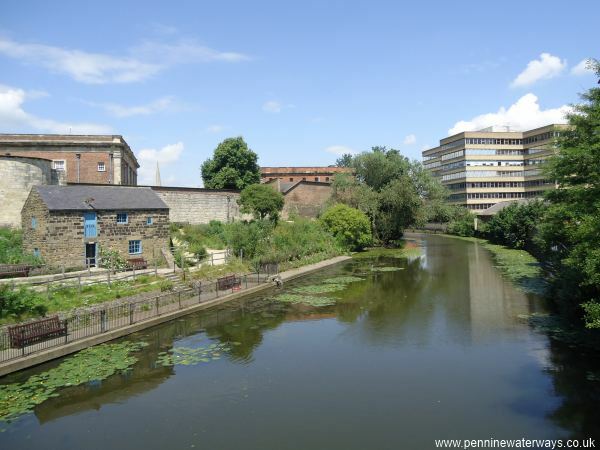 Find more information about the River Foss from the River Foss Society.